Life has a brilliant way to demonstrate some action in one’s life. Sometimes, one fails to see the signals, while, on other occasions, they hit you- bang- in your face. If you read my recent post (about almost giving up on the blog! ), this one may come as a shocker; I have decided not to- at least not just yet. Ironically, while I had just finished posting a recent post, I got invited to be a part of the Blogger’s Table, and well, after much resistance from my confused inner self, I decided to go ahead, not give up just yet. And I am quite glad, I didn’t. 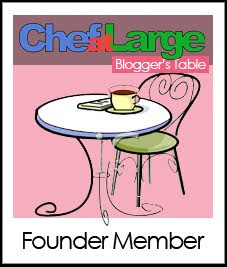 This is my first post as a part of the Blogger’s Table; thank you all for having me as a part of this. 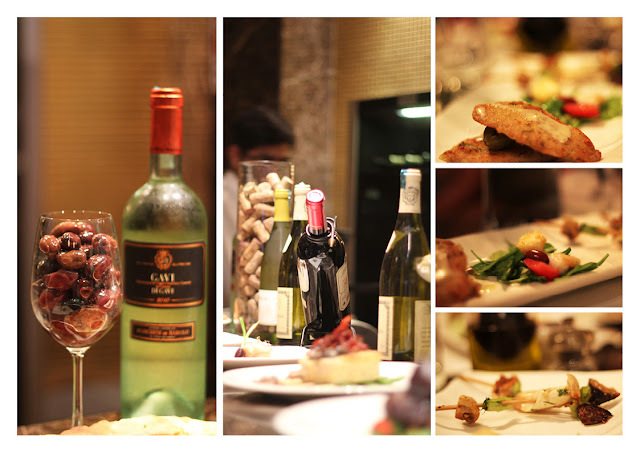 The event was the launch of a summer menu at Italia, DLF Promenade, New Delhi and they were kind enough to host a table for the big, chatty bunch of us as part of their upcoming Olive Festival. Italia is an extremely warm and cosy, Italian restaurant by the Park Group, amidst the very busy mall. In my daily life, it actually holds a very special place in my heart, with some fond memories. Being close to home, me and Ak actually frequent it quite often. 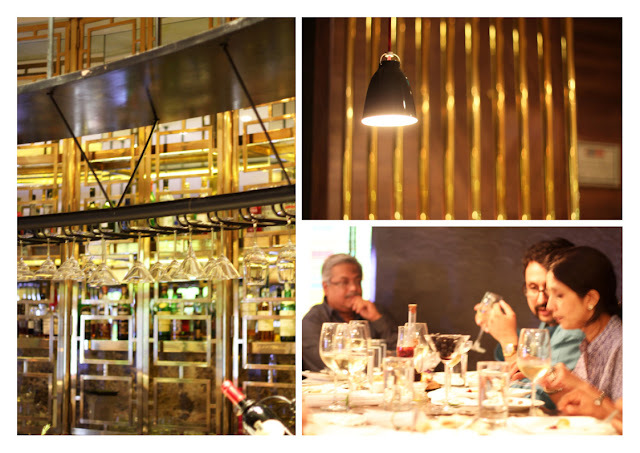 The evenings are usually, simple, with excellent, luscious food and a classic ambience. Their outdoor terrace is perfect for winter evenings, and the interiors are elegantly done- great to celebrate pleasurable occasions. 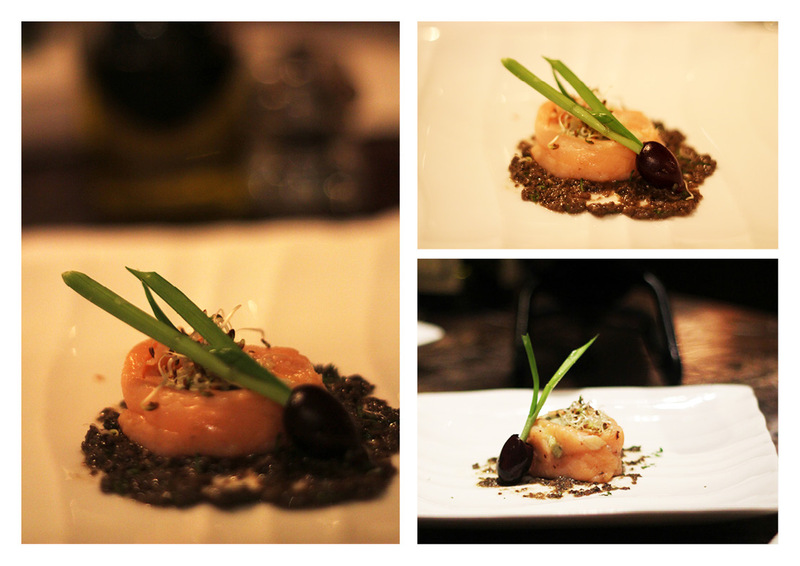 Hence, to be invited for a special tasting menu, was an opportunity I grabbed. Despite my initial inhibited walk-in, a warm welcome awaited us, by the enthusiastic Manager Vikas, Priya who coordinates the PR for Park hotels, Abhijeet Bose (General Manager of Park Hotels) and the very humble chef, Somopriya Basu, who had quite evidently worked very hard to create the tempting food that lay ahead for the evening. 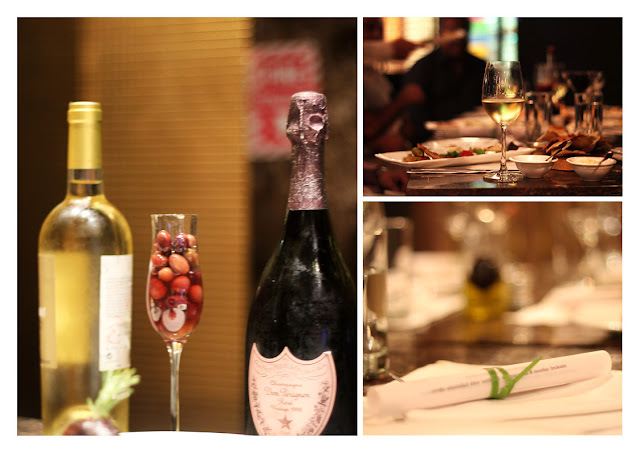 In fact, just to ensure that we didn’t neglect the food, with our blogger’s obsession with photography through the course of the evening, they had laid down a separate table at the bar to enable the photography. We had an extremely informative chat with both the manager and the Chef, who explained the upcoming Olive festival, the many varieties of olives being brought in and integrated with the menu, and the wines that could be paired consequently. We were greeted with hot and fresh, paper crisp focaccia, and some six odd varieties of olives to accompany it. The accompanying pesto was extremely fresh, and almost addictive, with me constantly having to remind myself, to not fill up mu appetite with the bread. It was really that good. For starters, there was smoked salmon and mascaporne involtini with kalamata olives, a dish that I tried, simply because of its extremely fancy name. I am not much of a salmon or seafood person- but since I was taking the next step into the blogging world- I thought, why not! And, not to my surprise- it wasn’t bad at all. The same dish was prepared with aubergines instead of the salmon for the vegetarians, and it looked so appetizing that I instantly wished for the vegetarian option as well. A great addition to this was the mixed appetizer platter with Milan style chicken with colossal olives, Milan style chicken with colossal olives and shitake, button mushroom and cepes skewers- which I thought were quite out of this world. For all mushroom lovers, I would totally recommend this- had never considered this dish earlier, maybe it’s just new on the menu. Then came the spaghetti with trapanese pesto- while most of us thought that the pesto was a bit bland, we were informed later, that this pesto, a special trapenese pesto, hailing from Sicily, also had tomatoes in it, and hence the flavor was much milder. 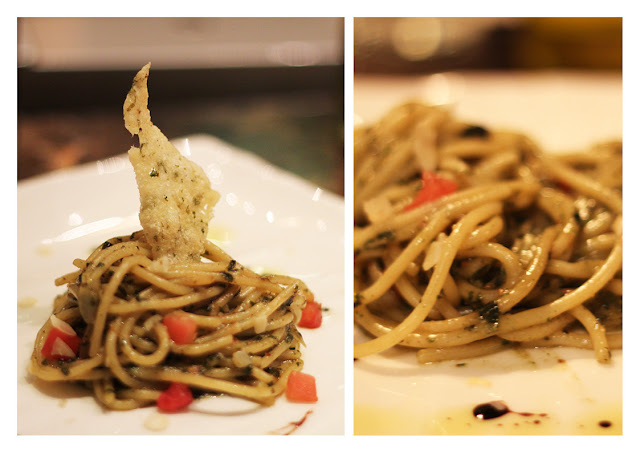 Personally, I am a big pesto fan, and prefer the strong flavours, but the spaghetti was quite classic nevertheless. 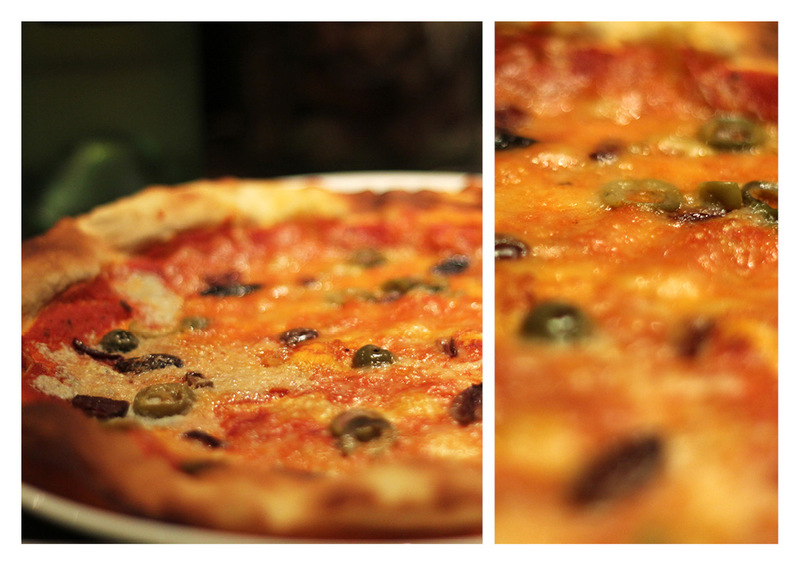 The Four Cheese and Four Olives pizza, however was quite italian- hot, crispy and oozing of simple flavours. The main course had options between tenderloin, which looked awfully appetizing, john tory with Israeli cous cous and salsa verde and pan seared polenta with asparagus spears and mix mushroom sauce. But Guess what- I was so stuffed until it was time for main course- That I had to skip it. I tasted the Polenta, and it was just right in texture, with the perfect, slight crunchiness of the asparagus and I regret not eating the tenderloin. Don’t worry, Italia- I will definitely be back for it. Instead, I went for the dessert- which was just so delicate and pretty, that I almost didn’t have the heart to ruin its splendid setting- the chocolate cake with extra virgin olive oil gelato. The cake was wonderful- While eating it, I could think of how much Ak would have loved it. 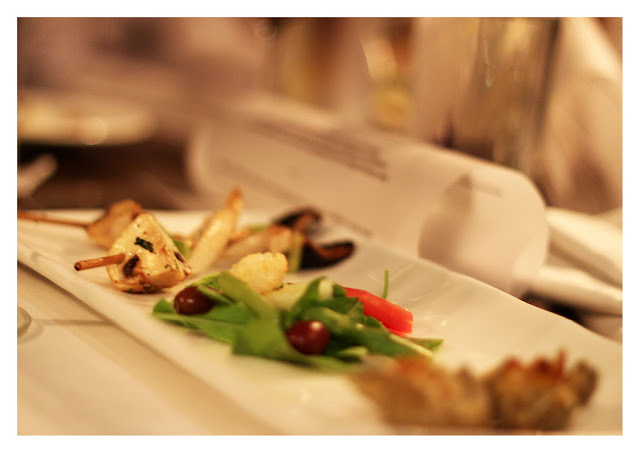 It’s a pity; we usually end up having only Tiramisu, which by the way for all those who haven’t tried- is really a must. I don’t think I can count the number of times, when we have gone to Italia only for the Tiramisu. 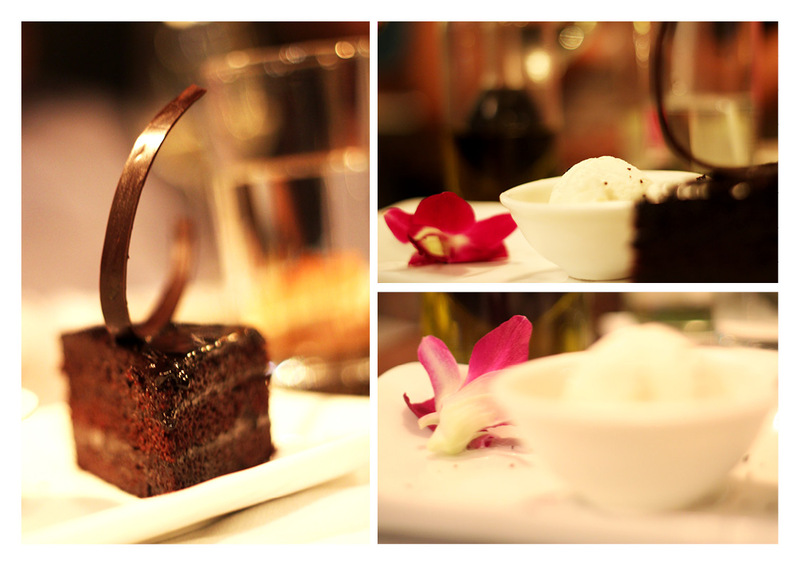 All said and done, the evening was brilliant, and food that went marvelously well with it. I did find the service a tad slow though; the hosts thought that we were having such a good time that they didn't want to disrupt it with food. Nevertheless, Thanks to Italia, CAL and Blogger's Table for having me as a part of this event; along with brilliant company, this was a great Friday evening. p.s. 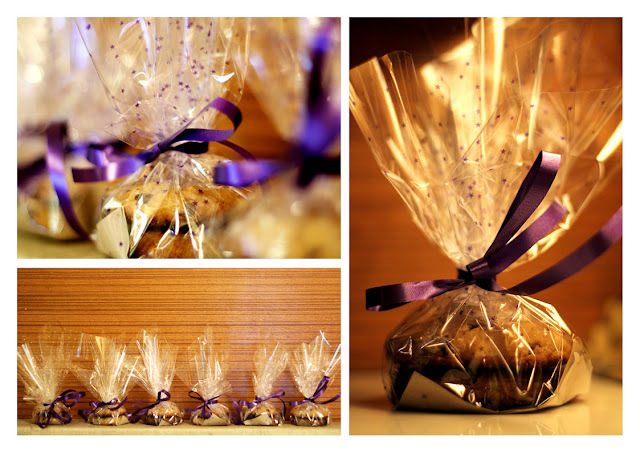 I took classic chocolate chip cookies, as a prerequisite to my entry to the table- would love a review. 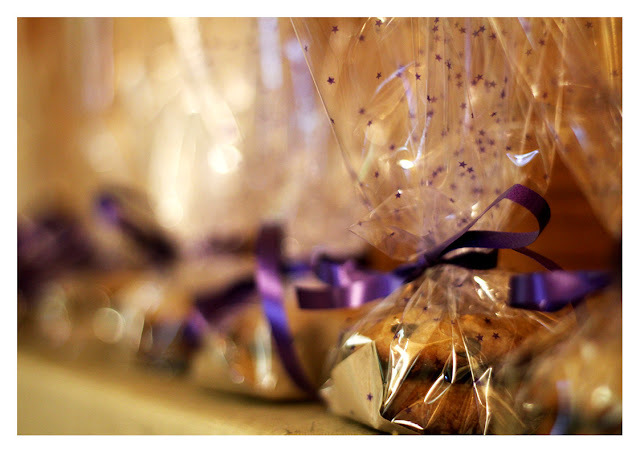 Was a pleasure baking these again- Am posting some photographs of the same. p.p.s. 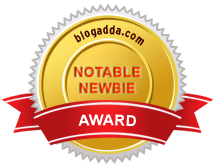 Read what the others at the Blogger's Table had to say. Beautifully written review Tanya. It's wonderful to have you at the table. Thanks for the cookies! They were super YUM!! Thank you Ladies- you are very encouraging! That looks so nice and ironchefy!!! Thank you Sangeeta- It Really did! 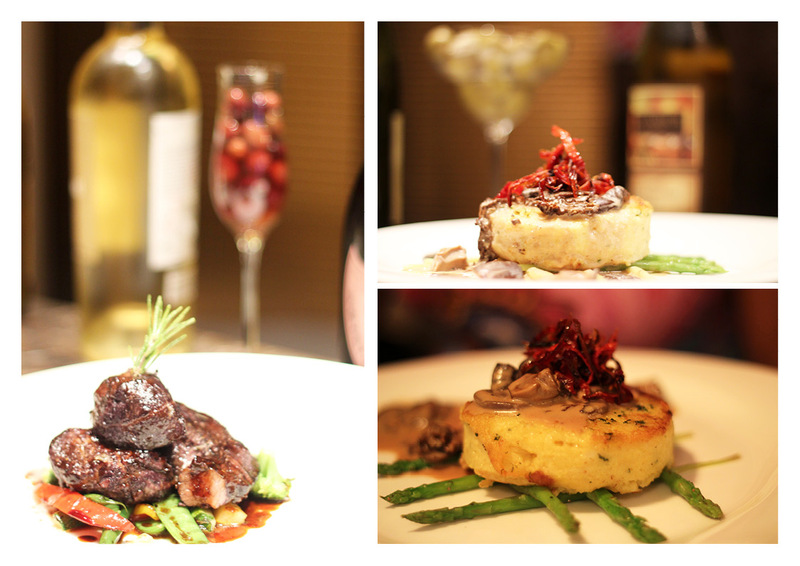 amazing food photography, u hav an eye for detail i must say! Thanks for dropping by Ashy and for the wonderful compliments!